Social network analysis provides helpful reports and comparisons, which may support the corporate human resources management. 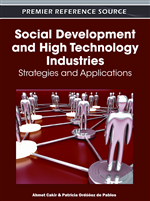 Several ideas, measurements, interpretations and evaluation methods are presented and discussed in the chapter, in particular group detection, centrality degree, location analysis, process management support, dynamic analysis, and social concept networks. Over the past few years, corporations have evolved from sets of individual units to collaborating social beings. Recent companies are implementing various ideas to help their employees to get known and co-operate with each other and therefore improve performance of their work. Some of them are company integration events, trips and more fresh as well as less expensive intranet social websites. Hence, people get into various relationships due to their different job activities. Based on these relationships, a typical social network describing organizational connections can be created. These social connections between employees can be extracted from the data about pure communication like email exchange, phone calls, instant messengers or teleconferences. This paper describes a general social network approach to help analyzing the knowledge flow in the organization (Musiał, 2008) and therefore supporting corporate management. Each company or organization can be compared to a living organism (Gloor, 2004). Like in the nature, each unit is dependent on others and only altogether they really form a complete system. Nevertheless, the essential part of a human body is the nervous system which steers and supervises all other processes. The similar role plays the knowledge flow for the corporate lifecycle. Thus, analysis and optimization of communication efficiency within organization is very important. Such analysis can detect invisible anomalies and suggest some improvements in managing corporate policies, hierarchy structure and social approach to employees, which may result e.g. in achieving competitive edge, making the organization more flexible. or friendlier to its employees. A corporate social network can be extracted from various IT systems utilized in the organization, in particular from internal communication like email logs, phone billings and from common activities, e.g. events, meetings, projects, etc. Some other sources for the social network extraction may be intranet community forums and physical location of workplaces, i.e. fact of sitting in the same office room. A process of generating social network requires to determine the objects connecting people – concentrating humans activities. These can be an email message, for which two roles of users can be distinguished: email sender and email recipient. Some additional recipients extracted from fields ‘To’, ’Cc’, ’Bcc’ can, in turn, effect relationship strengths. A phone call object can be treated similarly with roles of caller and receiver. These two object types (email and calls) are an example of direct relationships where actors through their mutual communication directly know about their connections. In specific cases, there may be a need to perform additional preliminary processing on social network members. For example, if most of CEO’s correspondence is sent by the secretary using secretary’s own email address, both the secretary and CEO may be treated as a single social entity – one network node depending on general analysis requirements. Another example is the automatic correspondence sent by different kinds of applications, which has no important meaning in social network – those entities (nodes) may be removed from further analysis, because they even do not exist in the corporate hierarchy as well. Some other objects are container type. People are connected indirectly through them by being a part of an activity and it is not certain that they communicated directly at all. These objects are common events/meetings/projects in which some employees can participate in. For example, if two employees are both the team members in the same project, they are thought to be in common social relationship. The same approach can apply to Active Directory or ERP system group memberships, forum discussions and even office room co-workers.